Early sales lessons teach to ask a prospect what they need, and then find a way to offer it, at a price. The modern methods of selling haven’t lost this principle, making clear the leaders in dollar volume. For years I felt this little episode in my life was a sad travesty to sales, a man selling ‘vaporware,’ desperate to close a deal any way possible. Disneyland, and Disney World, are clear examples. You rarely hear complaints about the experience they offer, only about the high price. These destinations make every opportunity in your vacation experience worthwhile, and they charge top dollar to do it. 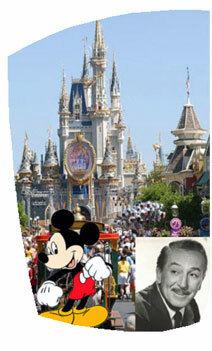 Today’s sales leaders can learn from the Late Great Walt Disney. Questions to a prospect must be about them, not you, your product or it’s features. Start a conversation about their needs, and you will quickly identify that you can help, and make a sale, even out-of-the-box at a premium, or that there is no way to help from your options, and you both can move on to better things. Either choice is a win. We recently moved into a structural brick building that had been built on the footprint of the original apartment house from when Beacon was a millinery center. The cabinets cried out for a matching island, and our taste for mid-century modern and contemporary design was a fit. Mary is a French professor and has European minimal sensibility, and I work in real estate lending for a NYC bank, so I’ve seen almost a decade of what can go right, or go wrong with a living space, so we wanted our apartment home to showcase good design without shouting. Speaking with leaders in business, sales, and athletics has led to new confidence in understanding the phases of growth, and how we discern one portion of our life’s journey from the next. While sitting serenely in the Jacuzzi at the local gym after a winning session of Les Mills Body Pump, I struck up a conversation with one of the usual suspects, a friend I’d never shared the workout with, but had often been in the hot tub at the end. He was on what must have been his third crash diet, failing his way through Atkins, South Beach, Master Cleanse, and what must now be some newer fad. “I plateaued at 230,” he commented. This advice is simple, straight-forward and amazingly clear. Consulting for start-up companies in growth mode all the way to enterprise-level standards, I’ve seen many leaders beating themselves up or berating their employees for hitting a flat zone. These periods aren’t just rests, they are signposts, the milestones along our travels to show us the way upward. Kudos to those losing weight, winning friends & influencing people! For the American holiday of Father’s Day this year, I will share with you a number of free online tools which help trace your roots back to your home nation. To begin, you will need a modern computer, available at your local library if you do not have one at home, work or school. It is necessary for this computer to be connected to high-speed Internet and a printer, so you may print and review images you find. The important rule about this kind of research is to be sure websites you visit are reputable sources of historical or genealogical information, and that you avoid paying for any memberships, pictures, or information. It is very common for websites to request you to register, to gain access to their records, and in the registration, they ask for your real name, sometimes address and phone as well as email address. If you have not signed up for something online before, please, PLEASE, work with a partner, relative, or librarian who has, and can help you to achieve success without revealing sensitive information about yourself online. That said, a great starting place, available free in any computer’s web browser, is EllisIsland.org, maintained by the Statue of Liberty – Ellis Island Foundation, which asks online users to register, but does not charge to search, locate, and view (or save to one’s computer) the passenger records, ship manifest, and often even shares images of the ship on which one’s ancestor sailed. Another great online source with a free level of access, once registered, is Ancestry.com, which allows you to use a charted approach to describe your parents, grandparents, aunts, uncles, children, grandchildren, siblings, by name only and create clickable or printable genealogy charts. You can even upload your pictures or letters of your relatives if you want to store them as a project. In my personal family, we had a few ancestry buffs that had many binders full of black and white photocopies as well as many dog-eared, hand-copied notes. The technology on Ancestry.com allows this kind of tracing without the confusion of pages and notebooks. In 2008, I sat down at Internet Explorer, my computer’s web browser, and typed “Ancestor Search” into the Google.com search field and clicked the [Search] button. Among the many results that popped up, one of the first was EllisIsland.org, which seemed a logical place to begin. I clicked on the link for Ellis Island and, after clicking a few links and learning the history of Ellis Island, reviewing some historical photos and more, I discovered a [Passenger Search] feature. I had always heard the anecdote of my family’s name, Dykhouse, as beginning in 1908 when my grandfather had arrived at Ellis Island as a Dutch immigrant who queued patiently in long lines to arrive at the table where he was asked to state his name, in order to better match him to the ship’s manifest from whence he came. “Berend Dijkhuizen,” was his reply, holding out his immigration request papers. The official opposite him glanced over his papers, stamped them, grunting, and then with a warm handshake, announced, “Welcome, Ben Dykhouse!” This, it turns out, was the name we would use in America from then on. Knowing the ship’s manifest would likely show his original name, and the date sometime in 1908, I searched on the EllisIsland.org [Passenger Search] feature until I had located his name, arriving in December, 1908, one hundred years earlier from the time I sat quietly researching a man who had passed away before I was even born. This was my lineage, something I had only heard of in passing conversations in childhood, but here was the truth of the matter free and clear, a freighter named the Statendam, which had originally come from Russia, with the moving tale of many Jewish passengers fleeing the upheaval of the time. The Statendam, a Dutch ship, had ported in Rotterdam, taking on Dutch travelers as well before arriving in New York City, where all the passengers disembarked, hoping to begin a new life in a new nation. Seeing the ship’s manifest had been saved as an online photograph, I was immediately touched. I clicked the images and saw what looked to be a very clear scan of a ship’s book, declaring the names of each passenger, their stated destination, home country, and the dates of their arrival on board. I glanced through the pages, amazed that I could see the signature of a relative I had never met, yet without whom I would not exist! With more research, I learned that the EllisIsland.org website had images of what the facility in the New York harbor looked like in the early 1900s, even an image of the ship The Statendam. I returned to the Google.com search engine website and searched for pictures of this ship, discovering another website, an unofficial fan’s web page for Holland-America Lines ship histories that was chock full of images; black and white photographs of the Statendam, color artist’s paintings for company literature in the late 19th century, even a blue-and-white square picture of the Statendam’s souvenir tile, in the style of Delft pottery collected in the period. So many moving images and stories. 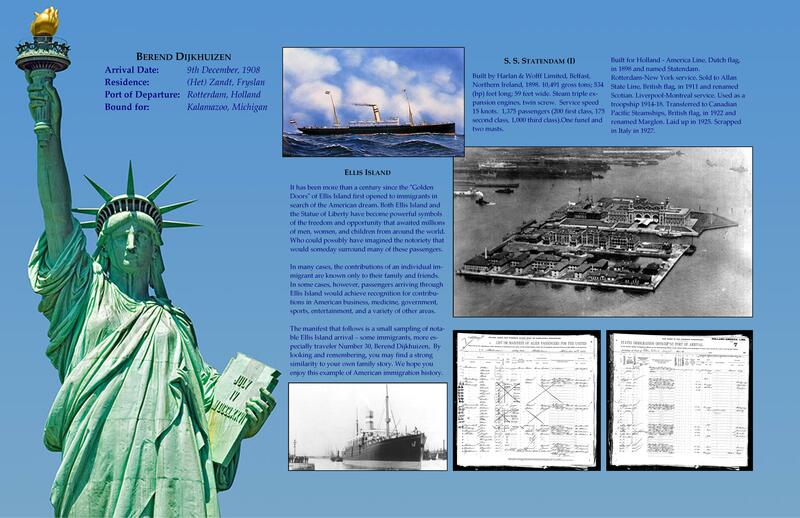 By saving copies of all these files, I was able to construct a meaningful collage of the images, text, and dates of the ship, the immigration, and my Great Grandfather, and I launched it, as one would with a ship, in time for father’s day, 100 years after his arrival. It has been more than a century since the “Golden Doors” of Ellis Island first opened to immigrants in search of the American dream. Both Ellis Island and the Statue of Liberty have become powerful symbols of the freedom and opportunity that awaited millions of men, women, and children from around the world. Who could possibly have imagined the notoriety that would someday surround many of these passengers…. In many cases, the contributions of an individual immigrant are known only to their family and friends. In some cases, however, passengers arriving through Ellis Island would achieve recognition for contributions in American business, medicine, government, sports, entertainment, and a variety of other areas. This particular manifest is a small sampling of notable Ellis Island arrival – some immigrants, more especially traveler Number 30, Berend Dijkhuizen. By looking and remembering, you may find a strong similarity to your own family story. We hope you enjoy this example of American immigration history. Compiled from EllisIsland.org historical pages and records search. Compiled using EllisIsland.org records search. Built by Harlan & Wolff Limited, Belfast, Northern Ireland, 1898. 10,491 gross tons; 534 (bp) feet long; 59 feet wide. Steam triple expansion engines, twin screw. Service speed 15 knots. 1,375 passengers (200 first class, 175 second class, 1,000 third class). One funnel and two masts. 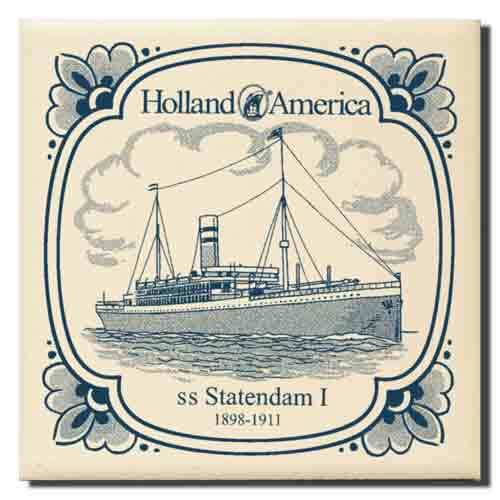 Built for Holland – America Line, Dutch flag, in 1898 and named Statendam. Rotterdam-New York service. Sold to Allan State Line, British flag, in 1911 and renamed Scotian. Liverpool-Montreal service. Used as a troopship 1914-18. Transferred to Canadian Pacific Steamships, British flag, in 1922 and renamed Marglen. Laid up in 1925. Scrapped in Italy in 1927. Compiled from online sources using Google.com and HALpostcards.com. Click Here for a reprint of this article from the Dutch International Society.